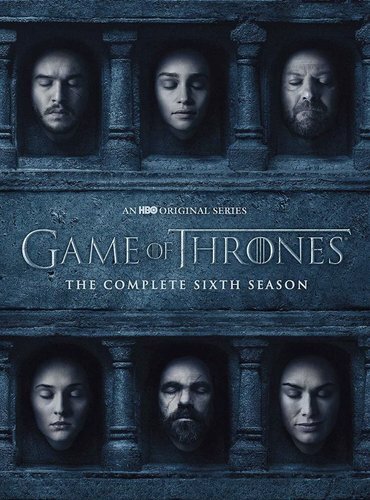 The complete sixth season of the groundbreaking medieval fantasy drama based on the bestselling novel series A Song of Ice and Fire by George R.R. 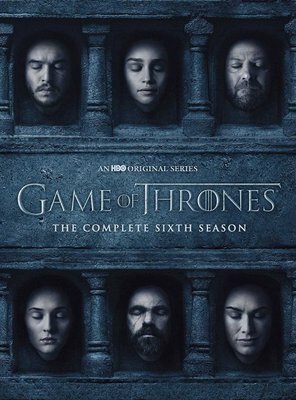 Martin, Game Of Thrones follows the battle between the Starks and the other noble families of the Seven Kingdoms of Westeros to gain control of the Iron Throne. In this season, Tyrion attempts to rule Meereen while Daenerys is held captive by a Dothraki tribe, Bran learns more about his powers from the Three-eyed Raven, the High Sparrow becomes more powerful by influencing King Tommen and the Stark and Bolton armies meet on the battlefield.